Freemasonry is an initiatory order whose members are intertwined by common ideals, moral, spiritual and social. Freemasonry recognizes no distinction of religion and emphasizes the duties of citizenship. Religious or political discussion is not permitted in Lodge meetings. Freemasonry offers no financial benefits. Freemasonry supports a wide range of charities, both Masonic and non-Masonic. This is a list of famous Romanian Freemasons. Since Romanian Masonry has been suppressed in communist era, records of entire Grand Lodges have been destroyed. Because of this, masonic membership can sometimes be difficult to verify. No secrets, find exactly what Freemasonry is! Freemasonry is one of the world's oldest secular fraternal societies, a society concerned with moral and spiritual values. 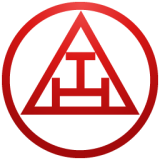 Members are taught the rules of Freemasonry by a series of ritual dramas that follow ancient forms and use stonemasons' customs and tools symbolically. The Library and Museum of Freemasonry houses one of the finest collections of Masonic material in the world. It is open to the public, Monday to Friday, free of charge. The Three Great Lights of Regular Freemasonry are the Volume of Sacred Law, the Square and the Compass. Taken together, they represent a symbol of Masonic life, because no regular Lodge can open the Craft without their presence. The Volume of Sacred Law is a symbol of Tradition. There are now about 4 million Freemasons under more than 100 "regular" Grand Lodges world wide. Membership of the Craft is open to every respectable man who believes in his personal Supreme Being - usually known in Masonic terms as The Great Architect of The Universe, Grand Geometrician of the Universe or Most High. These descriptive names show the importance the Freemason places on his Supreme Being in the order of things in life.